Warts, while not life-threatening, are an annoying health issue for many of my patients. There are a lot of home remedies for warts, many of which I’ve tried myself! I’ve found this simple remedy to be the most consistently successful in my clinical experience. Simply place a piece of duct tape over your wart and keep it on 24 hours per day. It is best to change the duct tape twice per day, so you are always using a fresh piece. Duct tape will deprive your wart of oxygen, killing the wart and the skin around it. When you change the duct tape, gently scrape away any dead skin. A useful addition to this remedy is either fresh garlic or fresh potato slices. 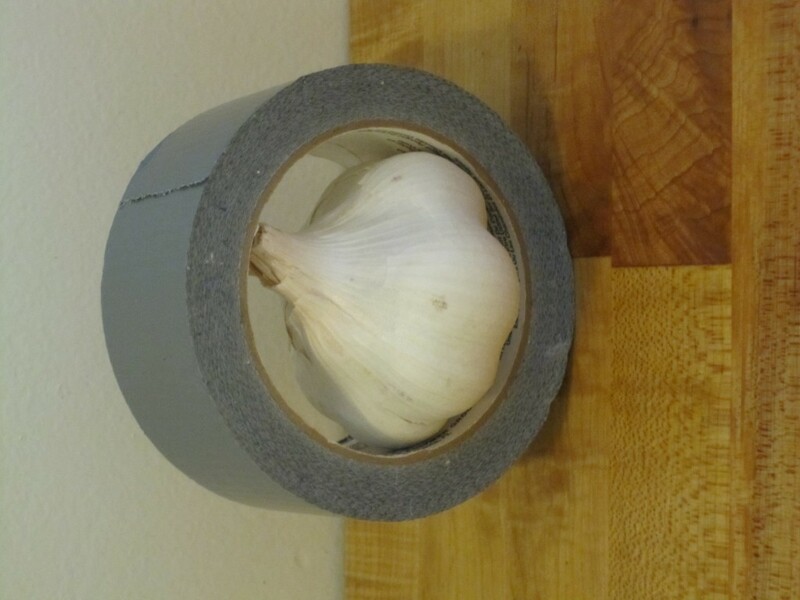 Place a thin slice of garlic or potato over the wart and then cover with the duct tape. It’s important to be PATIENT with this remedy! Some people find that their warts disappear or fall off within days, but more commonly it will take at least 3-6 weeks to eliminate your average wart. Plantar warts will take longer than warts on the hands.